More than 750 security professionals attended the three-day event to take part in training, education and trade exhibits. The event offered two full days of CEU classes with 99 hours of training time, eight classrooms and 33 different courses. 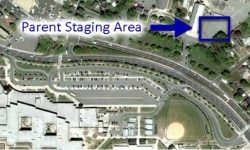 ATLANTIC CITY, N.J. — With 2019 being a licensing renewal year, the addition of extra exhibit hours, several new CEU courses and much more, the 2019 New Jersey Electronic Security Association (NJESA) annual symposium was bigger and more successful than even expected, according to an announcement. 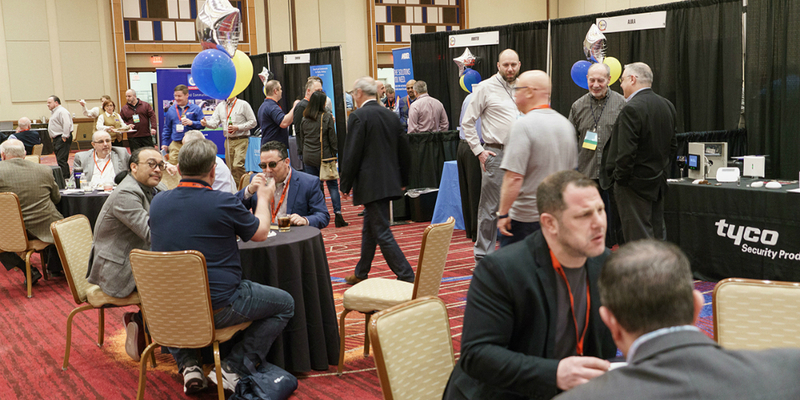 Nationally recognized as a leading trade show in the Northeast, the 2019 NJESA annual symposium, held here March 6-8 at Harrah’s Resort, featured training, education and trade exhibits, as well as networking, raffles and social events with more than 750 people attending during the three-day event. 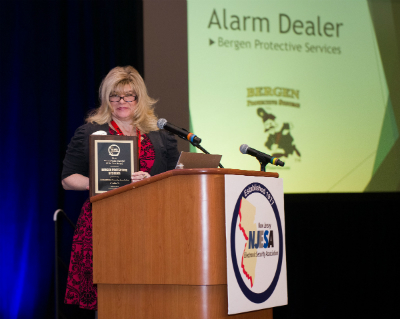 Bergen Protective Services was honored with the Alarm Dealer of the Year Award. The symposium opened with an open bar reception at the pool at Harrah’s Pool Bar Club. During the reception, Joe Russotto and Fred Mawson, long time members of the NJESA, along with their band, Rockwell, played 70s and 80s music. March 7-8 featured full days of CEU classes boasting 99 hours of training time, 8 classrooms and 33 different courses, including 11 new ones. With 2019 being a license renewal year, attendees had the opportunity to earn their N.J.-approved CEU credits with courses that included Effective Conflict Management and Negotiating Skills; NFPA 3000, Standard for an Active Shooter/Hostile Event Response Program; Network Video Fundamentals; Increasing RMR With Access Control, among others. 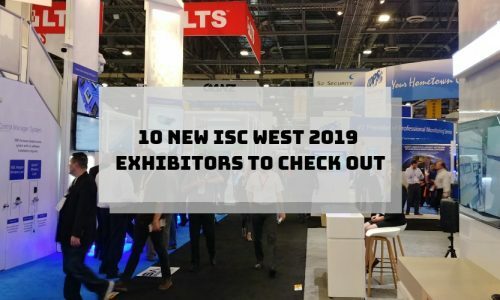 The trade show floor was filled with 90 exhibitors including Affiliated Monitoring, Bongiorno & Associates, Chartrand Associates, Interlogix, Kidde/Edwards, Rapid Response Monitoring and Resideo Technologies. The extra hours with lunch on the trade show floor was well received by both attendees and exhibitors. During the March 8 afternoon formal lunch, NJESA President Christine Marzano spoke on the changing technologies and changing profile of customers and how it is affecting N.J. alarm dealers. She also thanked Symposium Chairman Rob Rudolph who recently relocated to Florida but was sure to make the trip back to New Jersey for the entire event. Chris Mosley, former NJESA president and current ESA president shared the benefits of ESA membership and how the national association is working for its members. 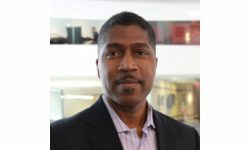 He also shared a new initiative of how ESA is working with SIA to address the skilled labor shortage in the industry. 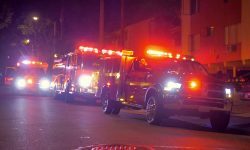 Stan Martin, executive director of the Security Industry Alarm Coalition (SIAC) spoke on the new alarm ordinance in Sandy Springs, Ga., and the danger of it spreading across the country. Sam Weinstein from Princeton Public Affairs Group, the lobbyists for the association, updated members on legislative issues. Several awards were given out during the luncheon. Bergen Protective Services received and Joe Cioffi III accepted the award for Alarm Dealer of the Year. The team from COPS Monitoring accepted the award for Associate Member of the Year. The Public Safety Award went the Logan Township Police Department. In addition, John Drucker received the Public Service Award. Bill Ackerman, Joseph Cioffi, III, Jerry Duffy, Chris Hummel, John McClellan, Sherwin Xing, Joe Russoto and Fred Mawson were all recognized for going Above and Beyond for the Association. The True Professional Award went to Richard Hahn and Jeffrey Zwirn. Ken Gould was honored with the President´s Award and Executive Director, Christine Higgins accepted the President´s Special Recognition Award. After the award ceremony, the entire board was introduced to members. The symposium also gave members a chance to donate time and money to a very worthy cause. The NJESA and Mission 500, an organization that works closely with the security industry to serve the needs of children living in poverty across the United States, organized a school backpack building event. Led by Ken Gould and Linda Nolan, participants gathered and worked in unity to assemble the backpacks and write personal notes of encouragement and hope. The 184 school backpacks were then distributed personally to Principal LaQueth Small and the children at the Pennsylvania Avenue School in Atlantic City. The children were given the backpacks based on perfect attendance. The winner of the $250 Early Bird Dues Raffle was Superior Security Systems. Cindy Duffy won $800 for the 50/50 Raffle and Michael Rivera won $250 for the online symposium registration raffle. 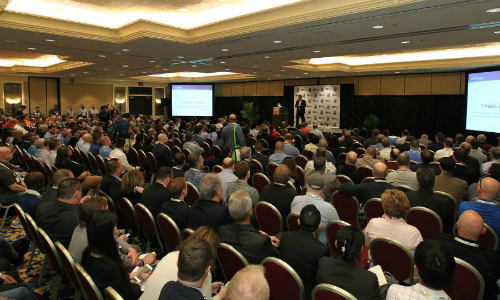 Sponsors for this year’s symposium included Diamond Sponsors, COPS Monitoring and ISC East; and Gold Sponsors, Aiphone, Kwikset and Security America Risk Retention Group. 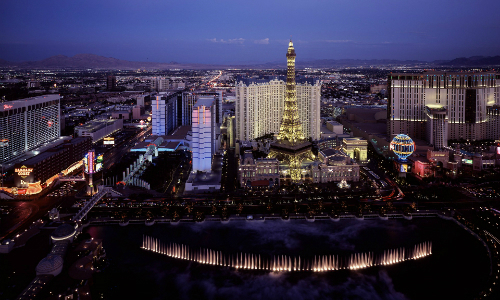 The 2020 NJESA symposium is slated to be held from March 11-13 at Harrah’s Resort in Atlantic City.